Whether you're commuting in the city or heading out to the Cascades for a weekend of adventure, the 2018 Toyota RAV4 is the perfect choice for your Washington lifestyle. We're proud to carry this small crossover SUV at Titus-Will Toyota, and we're looking forward to sharing it with you! Keep on reading to learn more about what it has to offer, then check out our inventory to find your next 2018 Toyota RAV4. When you're ready for a test drive, scheduling online is easy. We look forward to seeing you soon at Titus-Will Toyota, serving Puyallup and Gig Harbor from 3506 S Sprague Ave, Tacoma, WA 98409. The 2018 Toyota RAV4 is designed to impress at every trim level. Things start out strong with the 2018 Toyota RAV4 LE, which comes with soft-touch interior accents and Entune™ Audio. 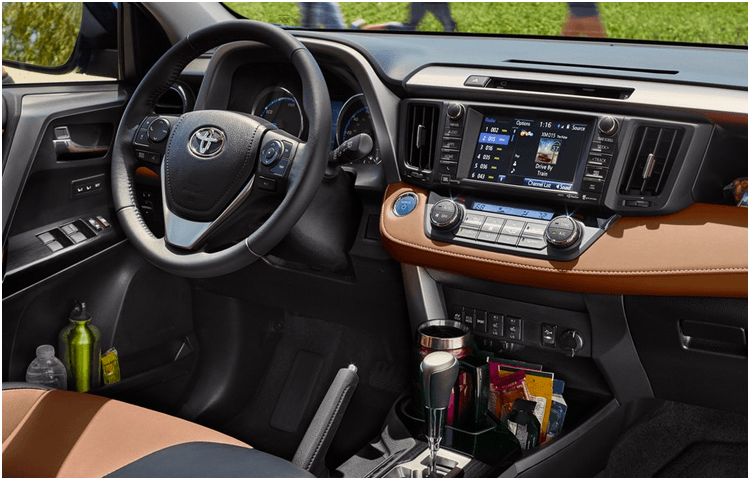 The 2018 Toyota RAV4 XLE adds features like dual-zone automatic climate control and lots of available features to choose from. Ready to stand out when you explore? 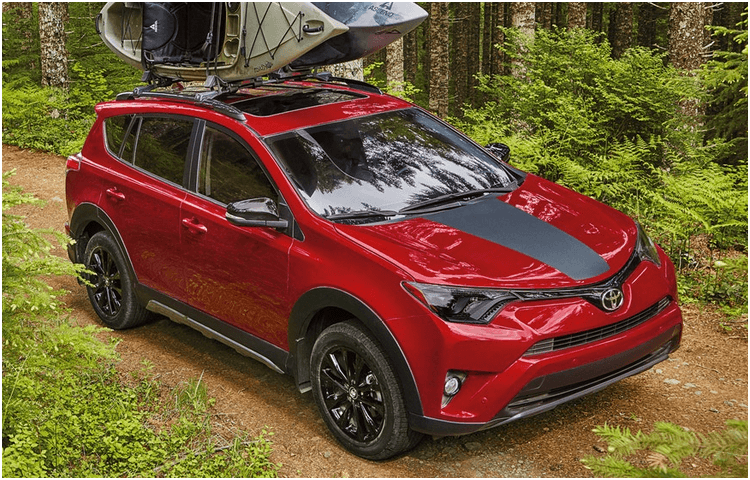 The 2018 Toyota RAV4 Adventure has 18-inch alloy wheels, black roof rails, an Adventure grade shift lever, and available Adventure grade mudguards. Choose the 2018 Toyota RAV4 SE and you'll get sport-tuned suspension, or get the 2018 Toyota RAV4 Limited for SofTex®-trimmed seats. The top-of-the-line 2018 Toyota RAV4 Platinum has features like a hands-free, foot-activated power liftgate and much more! Toyota takes your safety seriously, which is why the 2018 Toyota RAV4 received the prestigious Top Safety Pick rating from IIHS. Toyota is so dedicated to keeping you safe that the 2018 Toyota RAV4 includes many standard features that are only available as upgrades on most other vehicles. 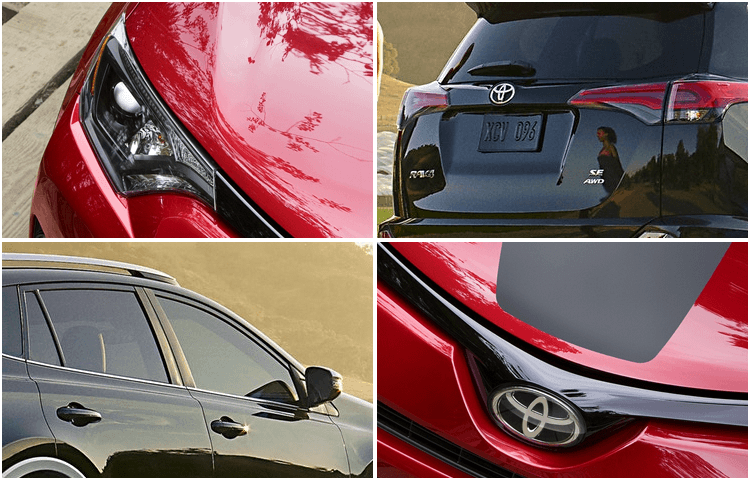 The standard Toyota Safety Sense™ P combines Dynamic Radar Cruise Control, Automatic High Beams, Lane Departure Alert with Steering Assist, and a Pre-Collision System with Pedestrian Detection, and it comes on every new 2018 Toyota RAV4! There's plenty more that makes the 2018 Toyota RAV4 truly safe; come see for yourself! The 2018 Toyota RAV4 is fun to drive. It's powered by an I4 engine that puts out 176 horsepower while still giving the 2018 Toyota RAV4 up to 30 miles per gallon on the highway! This engine allows the 2018 Toyota RAV4 to tow up to 1,500 pounds when properly equipped. Front-wheel drive comes standard, but a powerful all-wheel drive system is also available. There's nothing quite like experiencing the 2018 Toyota RAV4 for yourself, so stop by Titus-Will Toyota today! Toyota is a household name--but it didn't get that way by accident. Over its eighty-year history, Toyota has led the way in innovation. What else would you expect from the automaker who developed the Prius (the world's first mass-produced hybrid passenger car) and the Mirai (an innovative hydrogen fuel-cell vehicle)? 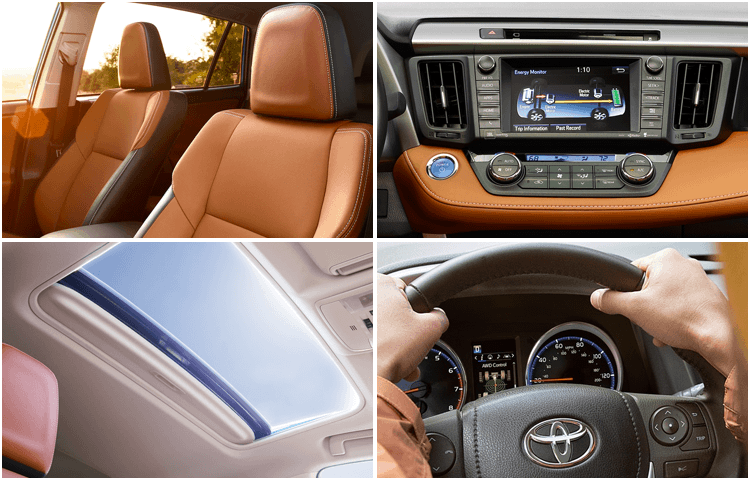 Toyota vehicles are well known for being long-lasting and reliable, and new features and amenities like Toyota Safety Sense™ are always being developed to help you get the latest and best innovations. Titus-Will Toyota, serving Puyallup and Gig Harbor, is proud to carry the best that Toyota has to offer, so come visit today! * MSRP excludes the Delivery, Processing, and Handling Fee of $885 for Cars (Yaris, Yaris iA, 86, Corolla, Corolla iM, Camry, Camry HV, Prius LB, Prius, Prius Prime, Mirai, RAV4, RAV4 HV), $960 for Small/Medium Trucks, SUVs and Van (C-HR, RAV4, RAV4 HV, Highlander, Highlander HV, 4Runner, Sienna, Tacoma), $1,195 for Large SUVs (RAV4, Land Cruiser), and $1,195 for Large Truck (Tundra). (Historically, vehicle manufacturers and distributors have charged a separate fee for processing, handling and delivering vehicles to dealerships. Toyota's charge for these services is called the "Delivery, Processing and Handling Fee" and is based on the value of the processing, handling and delivery services Toyota provides as well as Toyota's overall pricing structure. Toyota may make a profit on the Delivery, Processing and Handling Fee.) Excludes taxes, license, title and available or regionally required equipment. The Delivery, Processing and Handling Fee in AL, AR, FL, GA, LA, MS, NC, OK, SC and TX will be higher. Actual dealer price will vary.